We Can Simply Throw a Sign in the Yard! I recently overheard a couple talking about selling their home. As I listened, they were telling each other that in this strong seller’s market all they need to do was to throw a sign in the yard and they would sell for top dollar. I would agree that the greater Dallas area is in a strong seller’s market. 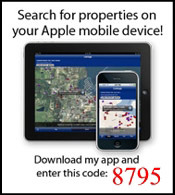 I base that on the lack of inventory and the number of offers received on each of our listings. That said, if you want top dollar, you still have to properly prepare, market, and show it. Buyers are not going to pay top dollar for a home that does not show well. It all starts with preparing the home for sale. While we have listed and sold a few homes that did not need any preparation, the vast majority can maximize their sales price and minimize their marketing time by employing a stager. We so strongly believe in this concept that we pay for a staging consultation on almost every listing. The photos below are an example of the difference staging can make (staging done by Karen Otto with HomeStarStaging). Once the staging is complete, the cleaning stage begins. We recommend that carpets and the home be professionally cleaned. In our market the cost is about $500. Why? A super-clean home looks and smells good creating an emotional appeal to buyers. Emotion leads to quicker and higher offers. The next stage is getting ready to market the home. Professional quality photography is a must. With over 90 percent of Dallas buyers starting their searches on the Internet, you have to create a compelling reason for buyers to want to see the home. Even in a seller’s market, quality photography instills a sense of urgency in buyers. They realize that the home will not last long and they need to get in to see it quickly. The last stage is having the home in show-ready condition for every showing. Most sellers know in advance that their home will be showing. When you get that call, it’s almost show time! Have a plan of action to get your home in show-ready shape: window shades open, lights on, soft music playing, etc. It’s all about creating an emotional experience for the buyers. 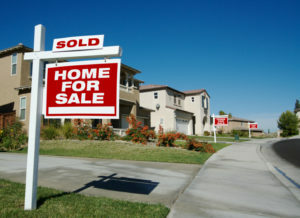 Don’t let a strong seller’s market lull you into thinking that you can simply stick a sign in the ground and sell your home for top dollar in the minimum amount of time. Take the time and make the effort to get the home prepared prior to going on the market. You’ll be far happier with the results.